a. ^ Croatian, Czech, Hungarian, Romani, Slovak, and Slovene are officially recognised by the European Charter for Regional or Minority Languages (ECRML). b. ^ Austrian schilling before 1999; Virtual Euro since 1 January 1999; Euro since 1 January 2002.
c. ^ The .eu domain is also used, as it is shared with other European Union member states. Austria ( i/ˈɒstriə, ˈɔː-/; German: Österreich [ˈøːstɐˌʁaɪç] ( listen)), officially the Republic of Austria (German: Republik Österreich, listen (help·info)), is a federal republic and a landlocked country of over 8.7 million people in Central Europe. It is bordered by the Czech Republic and Germany to the north, Hungary and Slovakia to the east, Slovenia and Italy to the south, and Switzerland and Liechtenstein to the west. 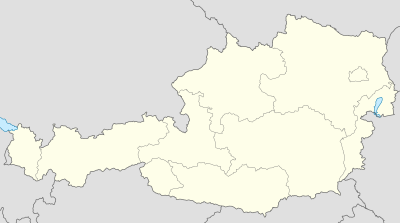 The territory of Austria covers 83,879 square kilometres (32,386 sq mi). The terrain is highly mountainous, lying within the Alps; only 32% of the country is below 500 metres (1,640 ft), and its highest point is 3,798 metres (12,461 ft). The majority of the population speak local Bavarian dialects of German language as their native language, and Austrian German in its standard form is the country's official language. Other local official languages are Hungarian, Burgenland Croatian, and Slovene. The origins of modern-day Austria date back to the time of the Habsburg dynasty when the vast majority of the country was a part of the Holy Roman Empire. From the time of the Reformation, many Northern German princes, resenting the authority of the Emperor, used Protestantism as a flag of rebellion. The Thirty Years War, the influence of the Kingdom of Sweden and Kingdom of France, the rise of the Kingdom of Prussia, and the Napoleonic invasions all weakened the power of the Emperor in the North of Germany, but in the South, and in non-German areas of the Empire, the Emperor and Catholicism maintained control. During the 17th and 18th centuries, Austria was able to retain its position as one of the great powers of Europe and, in response to the coronation of Napoleon as the Emperor of the French, the Austrian Empire was officially proclaimed in 1804. Following Napoleon's defeat, Prussia emerged as Austria's chief competitor for rule of a larger Germany. Austria's defeat by Prussia at the Battle of Königgrätz, during the Austro-Prussian War of 1866, cleared the way for Prussia to assert control over the rest of Germany. In 1867, the empire was reformed into Austria-Hungary. After the defeat of France in the 1870 Franco-Prussian War, Austria was left out of the formation of a new German Empire, although in the following decades its politics, and its foreign policy, increasingly converged with those of the Prussian-led Empire. During the 1914 July Crisis that followed the assassination of Archduke Franz Ferdinand of Austria, Germany guided Austria in issuing the ultimatum to Serbia that led to the declaration of World War I. After the collapse of the Habsburg (Austro-Hungarian) Empire in 1918 at the end of World War I, Austria adopted and used the name the Republic of German-Austria (Deutschösterreich, later Österreich) in an attempt for union with Germany, but was forbidden due to the Treaty of Saint-Germain-en-Laye (1919). The First Austrian Republic was established in 1919. In the 1938 Anschluss, Austria was incorporated into Nazi Germany. This lasted until the end of World War II in 1945, after which Germany was occupied by the Allies and Austria's former democratic constitution was restored. In 1955, the Austrian State Treaty re-established Austria as a sovereign state, ending the occupation. In the same year, the Austrian Parliament created the Declaration of Neutrality which declared that the Second Austrian Republic would become permanently neutral. Today, Austria is a parliamentary representative democracy comprising nine federal states. The capital and largest city, with a population exceeding 1.7 million, is Vienna. Austria is one of the richest countries in the world, with a nominal per capita GDP of $43,724. The country has developed a high standard of living and in 2014 was ranked 21st in the world for its Human Development Index. Austria has been a member of the United Nations since 1955, joined the European Union in 1995, and is a founder of the OECD. Austria also signed the Schengen Agreement in 1995, and adopted the euro currency in 1999. First appearance of the word "Ostarrîchi", circled in red. Modern Austria honours this document, dated 996, as the founding of the nation. The German name for Austria, Österreich, meant "eastern realm" in Old High German, and is cognate with the word Ostarrîchi, which first appears in the "Ostarrîchi document" of 996. This word is probably a translation of Medieval Latin Marchia orientalis into a local (Bavarian) dialect. Austria was a prefecture of Bavaria created in 976. The word "Austria" is a Latinisation of the German name and was first recorded in the 12th century. At the time, the Danube basin of Austria (Upper and Lower Austria) was the easternmost extent of Bavaria, and in fact of all the Germans, as at the time the territory of the former East Germany was populated by Slavic Sorbs and Polabians. Friedrich Heer, a 20th-century Austrian historian, stated in his book Der Kampf um die österreichische Identität (The Struggle Over Austrian Identity), that the Germanic form Ostarrîchi was not a translation of the Latin word, but both resulted from a much older term originating in the Celtic languages of ancient Austria: more than 2,500 years ago, the major part of the actual country was called Norig by the Celtic population (Hallstatt culture); according to Heer, no- or nor- meant "east" or "easterns", whereas -rig is related to the modern German Reich, meaning "realm". Accordingly, Norig would essentially mean the same as Ostarrîchi and Österreich, thus Austria. The Celtic name was eventually Latinised to Noricum after the Romans conquered the area that encloses most of modern-day Austria, in around 15 BC. Noricum later became a Roman province in the mid 1st century AD. Heer's hypothesis is not accepted by linguists. Settled in ancient times, the Central European land that is now Austria was occupied in pre-Roman times by various Celtic tribes. The Celtic kingdom of Noricum was later claimed by the Roman Empire and made a province. Present day Petronell-Carnuntum in Eastern Austria was an important army camp turned capital city in what became known as the Upper Pannonia province. Carnuntum was home for 50,000 people for nearly 400 years. After the fall of the Roman Empire the area was invaded by Bavarians, Slavs, and Avars. Charlemagne, King of the Franks, conquered the area in AD 788, encouraged colonisation and introduced Christianity. As part of Eastern Francia, the core areas that now encompass Austria were bequeathed to the house of Babenberg. The area was known as the marchia Orientalis and was given to Leopold of Babenberg in 976. The first record showing the name Austria is from 996, where it is written as Ostarrîchi, referring to the territory of the Babenberg March. In 1156 the Privilegium Minus elevated Austria to the status of a duchy. In 1192, the Babenbergs also acquired the Duchy of Styria. With the death of Frederick II in 1246, the line of the Babenbergs was extinguished. As a result, Ottokar II of Bohemia effectively assumed control of the duchies of Austria, Styria and Carinthia. His reign came to an end with his defeat at Dürnkrut at the hands of Rudolph I of Germany in 1278. Thereafter, until World War I, Austria's history was largely that of its ruling dynasty, the Habsburgs. In the 14th and 15th centuries, the Habsburgs began to accumulate other provinces in the vicinity of the Duchy of Austria. In 1438 Duke Albert V of Austria was chosen as the successor to his father-in-law, Emperor Sigismund. Although Albert himself only reigned for a year, henceforth every emperor of the Holy Roman Empire was a Habsburg, with only one exception. 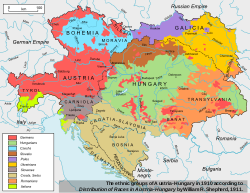 The Habsburgs began also to accumulate lands far from the hereditary lands. In 1477 Archduke Maximilian, only son of Emperor Frederick III, married the heiress Maria of Burgundy, thus acquiring most of the Netherlands for the family. His son Philip the Fair married Joanna the Mad, the heiress of Castile and Aragon, and thus acquired Spain and its Italian, African and New World appendages for the Habsburgs. In 1526 following the Battle of Mohács, Bohemia and the part of Hungary not occupied by the Ottomans came under Austrian rule. Ottoman expansion into Hungary led to frequent conflicts between the two empires, particularly evident in the Long War of 1593 to 1606. The Turks made incursions into Styria nearly twenty times;, which some of them are cited as "burning, pillaging, and taking thousands of slaves". During the long reign of Leopold I (1657–1705) and following the successful defence of Vienna in 1683 (under the command of the King of Poland, John III Sobieski), a series of campaigns resulted in bringing all of Hungary to Austrian control by the Treaty of Karlowitz in 1699. Emperor Charles VI relinquished many of the gains the empire made in the previous years, largely due to his apprehensions at the imminent extinction of the House of Habsburg. Charles was willing to offer concrete advantages in territory and authority in exchange for recognition of the Pragmatic Sanction that made his daughter Maria Theresa his heir. With the rise of Prussia the Austrian–Prussian dualism began in Germany. Austria participated, together with Prussia and Russia, in the first and the third of the three Partitions of Poland (in 1772 and 1795). Austria later became engaged in a war with Revolutionary France, at the beginning highly unsuccessfully, with successive defeats at the hands of Napoleon meaning the end of the old Holy Roman Empire in 1806. Two years earlier, in 1804, the Empire of Austria was founded. In 1814 Austria was part of the Allied forces that invaded France and brought to an end the Napoleonic Wars. It emerged from the Congress of Vienna in 1815 as one of the continent's four dominant powers and a recognised great power. The same year, the German Confederation (Deutscher Bund) was founded under the presidency of Austria. Because of unsolved social, political and national conflicts the German lands were shaken by the 1848 revolution aiming to create a unified Germany. A unified Germany would have been possible either as a Greater Germany, or a Greater Austria or just the German Confederation without Austria at all. As Austria was not willing to relinquish its German-speaking territories to what would become the German Empire of 1848, the crown of the newly formed empire was offered to the Prussian King Friedrich Wilhelm IV. In 1864, Austria and Prussia fought together against Denmark and secured the independence from Denmark of the duchies of Schleswig and Holstein. But as they could not agree on how the two duchies should be administered, they fought the Austro-Prussian War in 1866. Defeated by Prussia in the Battle of Königgrätz, Austria had to leave the German Confederation and subsequently no longer took part in German politics. The Austro-Hungarian Compromise of 1867, the Ausgleich, provided for a dual sovereignty, the Austrian Empire and the Kingdom of Hungary, under Franz Joseph I. The Austrian-Hungarian rule of this diverse empire included various Slavic groups, including Croats, Czechs, Poles, Rusyns, Serbs, Slovaks, Slovenes and Ukrainians, as well as large Italian and Romanian communities. As a result, ruling Austria–Hungary became increasingly difficult in an age of emerging nationalist movements, requiring considerable reliance on an expanded secret police. Yet the government of Austria tried its best to be accommodating in some respects: The Reichsgesetzblatt, publishing the laws and ordinances of Cisleithania, was issued in eight languages; and all national groups were entitled to schools in their own language and to the use of their mother tongue at state offices, for example. In 1908 Austria-Hungary found an excuse in the promulgation of the Second Constitutional Era in the Ottoman Empire to annex Bosnia and Herzegovina. The assassination of Archduke Franz Ferdinand in Sarajevo in 1914 by Bosnian Serb Gavrilo Princip was used by leading Austrian politicians and generals to persuade the emperor to declare war on Serbia, thereby risking and prompting the outbreak of World War I, which eventually led to the dissolution of the Austro-Hungarian Empire. Over one million Austro-Hungarian soldiers died in World War I. On 21 October 1918, the elected German members of the Reichsrat (parliament of Imperial Austria) met in Vienna as the Provisional National Assembly for German Austria (Provisorische Nationalversammlung für Deutschösterreich). On 30 October the assembly founded the State of German Austria by appointing a government, called Staatsrat. This new government was invited by the Emperor to take part in the decision on the planned armistice with Italy, but refrained from this business. This left the responsibility for the end of the war, on 3 November 1918, solely to the Emperor and his government. On 11 November the emperor, advised by ministers of the old and the new government, declared he would not take part in state business any more; on 12 November German Austria, by law, declared itself to be a democratic republic and part of the new German republic. The constitution, renaming the Staatsrat as Bundesregierung (federal government) and Nationalversammlung as Nationalrat (national council) was passed on 10 November 1920. The Treaty of Saint-Germain of 1919 (for Hungary the Treaty of Trianon of 1920) confirmed and consolidated the new order of Central Europe which to a great extent had been established in November 1918, creating new states and altering others. Over 3 million German-speaking Austrians found themselves living outside the newborn Austrian Republic as minorities in the newly formed or enlarged states of Czechoslovakia, Yugoslavia, Hungary and Italy. These included the provinces of South Tyrol (which became part of Italy) and German Bohemia (Czechoslovakia). The status of German Bohemia (Sudetenland) later played a role in sparking the Second World War. The status of South Tyrol was a lingering problem between Austria and Italy until it was officially settled by the 1980s with a great degree of autonomy being granted to it by the Italian national government. Between 1918 and 1919 Austria was known as the State of German Austria (Staat Deutschösterreich). Not only did the Entente powers forbid German Austria to unite with Germany, they also rejected the name German Austria in the peace treaty to be signed; it was therefore changed to Republic of Austria in late 1919. After the war, inflation began to devalue the Krone, which was still Austria's currency. In autumn 1922 Austria was granted an international loan supervised by the League of Nations. The purpose of the loan was to avert bankruptcy, stabilise the currency and improve Austria's general economic condition. The loan meant that Austria passed from an independent state to the control exercised by the League of Nations. In 1925 the Schilling, replacing the Krone at a rate of 10,000:1, was introduced. Later it was called the Alpine dollar due to its stability. From 1925 to 1929 the economy enjoyed a short high before nearly crashing after Black Tuesday. The First Austrian Republic lasted until 1933 when Chancellor Engelbert Dollfuss, using what he called "self-switch-off of Parliament" (Selbstausschaltung des Parlaments), established an autocratic regime tending towards Italian fascism. The two big parties at this time, the Social Democrats and the Conservatives, had paramilitary armies; the Social Democrats' Schutzbund was now declared illegal but still operative as civil war broke out. In February 1934 several members of the Schutzbund were executed, the Social Democratic party was outlawed and many of its members were imprisoned or emigrated. On 1 May 1934, the Austrofascists imposed a new constitution ("Maiverfassung") which cemented Dollfuss's power but on 25 July he was assassinated in a Nazi coup attempt. His successor Kurt Schuschnigg struggled to keep Austria independent as "the better German state". He announced a referendum on 9 March 1938, to be voted on on 13 March concerning Austria's independence from Germany. 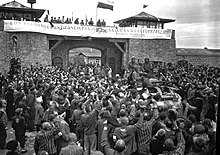 On 12 March 1938, Austrian Nazis took over government, while German troops occupied the country, which avoided Schuschnigg's referendum taking place. On 13 March 1938, the Anschluss of Austria was officially declared. 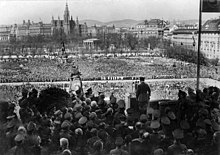 Two days later Austrian-born Hitler announced what he called the "re-unification" of his home country with the "rest of the German Reich" on Vienna's Heldenplatz. He established a plebiscite confirming the union with Germany in April 1938. Parliamentary elections were held in Germany (including recently annexed Austria) on 10 April 1938. They were the final elections to the Reichstag during Nazi rule and took the form of a single-question referendum asking whether voters approved of a single Nazi-party list for the 813-member Reichstag as well as the recent annexation of Austria (the Anschluss). Turnout in the election was officially 99.5% with 98.9% voting "yes". In the case of Austria, Adolf Hitler's native soil, 99.71% of an electorate of 4,484,475 officially went to the ballots, with a positive tally of 99.73%. Austria was incorporated into the Third Reich and ceased to exist as an independent country. The Aryanisation of the wealth of Jewish Austrians started immediately in mid-March with a so-called "wild" (i.e. extra-legal) phase, but soon was structured legally and bureaucratically to strip Jewish citizens of any assets they possessed. The Nazis called Austria "Ostmark" until 1942 when it was again renamed and called "Alpen-Donau-Reichsgaue". Some of the most prominent Nazis were native Austrians, including Adolf Hitler, Ernst Kaltenbrunner, Arthur Seyss-Inquart, Franz Stangl, and Odilo Globocnik, as were 40% of the staff at Nazi extermination camps. Vienna fell on 13 April 1945, during the Soviet Vienna Offensive just before the total collapse of the Third Reich. The invading Allied powers, in particular the Americans, planned for the supposed "Alpine Fortress Operation" of a national redoubt, that was largely to have taken place on Austrian soil in the mountains of the eastern Alps. However it never materialised because of the rapid collapse of the Reich. Karl Renner and Adolf Schärf (Socialist Party of Austria [Social Democrats and Revolutionary Socialists]), Leopold Kunschak (Austria's People's Party [former Christian Social People's Party]) and Johann Koplenig (Communist Party of Austria) declared Austria's secession from the Third Reich by the Declaration of Independence on 27 April 1945 and set up a provisional government in Vienna under state Chancellor Renner the same day, with the approval of the victorious Red Army and backed by Joseph Stalin. (The date is officially named the birthday of the second republic.) At the end of April, most of Western and Southern Austria was still under Nazi rule. On 1 May 1945, the federal constitution of 1929, which had been terminated by dictator Dollfuss on 1 May 1934, was declared valid again. The United Nations Office in Vienna (UNOV) is one of the four major UN office sites worldwide. Much like Germany, Austria was divided into American, British, French and Soviet zones and governed by the Allied Commission for Austria. As forecast in the Moscow Declaration in 1943, there was a subtle difference in the treatment of Austria by the Allies. 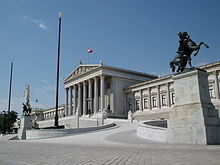 The Austrian government, consisting of Social Democrats, Conservatives and Communists (until 1947), and residing in Vienna, which was surrounded by the Soviet zone, was recognised by the Western Allies in October 1945 after some doubts that Renner could be Stalin's puppet. Thus the creation of a separate Western Austrian government and the division of the country was avoidable. Austria, in general, was treated as though it had been originally invaded by Germany and liberated by the Allies. On 15 May 1955, after talks which lasted for years and were influenced by the Cold War, Austria regained full independence by concluding the Austrian State Treaty with the Four Occupying Powers. On 26 October 1955, after all occupation troops had left, Austria declared its "permanent neutrality" by an act of parliament. Austria joined the European Union in 1995 and signed the Lisbon Treaty in 2007. The political system of the Second Republic is based on the constitution of 1920 and 1929, which was reintroduced in 1945. The system came to be characterised by Proporz, meaning that most posts of political importance were split evenly between members of the Social Democratic Party of Austria (SPÖ) and the Austrian People's Party (ÖVP). Interest group "chambers" with mandatory membership (e.g. for workers, business people, farmers) grew to considerable importance and were usually consulted in the legislative process, so that hardly any legislation was passed that did not reflect widespread consensus. Since 1945, governing via a single-party government has occurred between 1966–1970 (ÖVP) and 1970–1983 (SPÖ). During all other legislative periods, either a grand coalition of SPÖ and ÖVP or a "small coalition" (one of these two and a smaller party) ruled the country. Kurt Waldheim, an SS intelligence officer in the Second World War accused of war crimes, was elected President of Austria from 1986 to 1992. The major parties SPÖ and ÖVP have contrary opinions about the future status of Austria's military non-alignment: While the SPÖ in public supports a neutral role, the ÖVP argues for stronger integration into the EU's security policy; even a future NATO membership is not ruled out by some ÖVP politicians (ex. Dr Werner Fasslabend (OVP) in 1997). In reality, Austria is taking part in the EU's Common Foreign and Security Policy, participates in peacekeeping and peace creating tasks, and has become a member of NATO's "Partnership for Peace"; the constitution has been amended accordingly. Since Liechtenstein joined the Schengen Area in 2011, none of Austria's neighbouring countries performs border controls towards it anymore. The Leopoldine Wing of Hofburg Imperial Palace in Vienna, home to the offices of the Austrian president. After general elections held in October 2006, the SPÖ emerged as the strongest party, whereas the ÖVP came in second, having lost about 8% of its previous polling. Political realities prohibited any of the two major parties from forming a coalition with smaller parties. In January 2007 the People's Party and SPÖ formed a grand coalition with the social democrat Alfred Gusenbauer as Chancellor. This coalition broke up in June 2008. In the Austrian Legislative Elections of 2013, The Social Democratic Party received 27% of the vote and 52 seats; People's Party 24% and 47 seats, thus controlling together the majority of the seats. The Freedom Party received 40 seats and 21% of the votes, while the Greens received 12% and 24 seats. Two new parties, Stronach and the NEOS, received less than 10% of the vote, and 11 and nine seats respectively. The European Parliament. Austria is one of the 28 EU members. Austria began to reassess its definition of neutrality following the fall of the Soviet Union, granting overflight rights for the UN-sanctioned action against Iraq in 1991, and, since 1995, it has developed participation in the EU's Common Foreign and Security Policy (CFSP). Also in 1995, it joined NATO's Partnership for Peace and subsequently participated in peacekeeping missions in Bosnia. Meanwhile, the only part of the Constitutional Law on Neutrality of 1955 still fully valid is not to allow foreign military bases in Austria. Austria attaches great importance to participation in the Organisation for Economic Co-operation and Development and other international economic organisations, and it has played an active role in the Organization for Security and Cooperation in Europe (OSCE). As an OSCE participating State, Austria's international commitments are subject to monitoring under the mandate of the U.S. Helsinki Commission. The manpower of the Austrian Armed Forces (German: Bundesheer) mainly relies on conscription. All males who have reached the age of eighteen and are found fit have to serve a six months compulsory military service, followed by an eight-year reserve obligation. Both males and females at the age of sixteen are eligible for voluntary service. Conscientious objection is legally acceptable and those who claim this right are obliged to serve an institutionalised nine months civilian service instead. Since 1998, women volunteers have been allowed to become professional soldiers. In 2012, Austria's defence expenditures corresponded to approximately 0.8% of its GDP. The Army currently has about 26,000 soldiers, of whom about 12,000 are conscripts. As head of state, Austrian President (currently held jointly by three individuals due to the annulled 2016 election) is nominally the Commander-in-Chief of the Bundesheer. In practical reality, however, command of the Austrian Armed Forces is almost exclusively exercised by the Minister of Defence, currently Hans Peter Doskozil. A topographic map of Austria showing cities with over 100,000 inhabitants. The greater part of Austria lies in the cool/temperate climate zone, where humid westerly winds predominate. With nearly three-quarters of the country dominated by the Alps, the alpine climate is predominant. In the east—in the Pannonian Plain and along the Danube valley—the climate shows continental features with less rain than the alpine areas. Although Austria is cold in the winter (−10 – 0 °C), summer temperatures can be relatively high, with average temperatures in the mid-20s and a highest temperature of 40.5 °C (105 °F) in August 2013. Modern Vienna, Vienna International Centre with the United Nations Office at Vienna and the DC Tower 1. Austria is the 12th richest country in the world in terms of GDP (Gross domestic product) per capita, has a well-developed social market economy, and a high standard of living. Until the 1980s, many of Austria's largest industry firms were nationalised; in recent years, however, privatisation has reduced state holdings to a level comparable to other European economies. Labour movements are particularly strong in Austria and have large influence on labour politics. Next to a highly developed industry, international tourism is the most important part of the national economy. 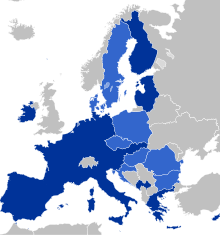 Austria is part of a monetary union, the eurozone (dark blue), and of the EU single market. The Eurozone crisis dented the economy of Austria in other ways as well. It caused, for example, the Hypo Alpe-Adria-Bank International to be purchased in December 2009 by the government for 1 euro owing to credit difficulties, thus wiping out the euro 1.63bn of BayernLB. As of February 2014, the HGAA situation was unresolved, causing Chancellor Werner Faymann to warn that its failure would be comparable to the 1931 Creditanstalt event. Tourism accounts for almost 9% of the Austrian gross domestic product. In 2007, Austria ranked 9th worldwide in international tourism receipts, with 18.9 billion US$. In international tourist arrivals, Austria ranked 12th with 20.8 million tourists. Austria's population was estimated to be 8.72 million in April 2016 by the Statistik Austria. The population of the capital, Vienna, exceeds 1.8 million (2.6 million, including the suburbs), representing about a quarter of the country's population. It is known for its cultural offerings and high standard of living. The total fertility rate (TFR) in 2013 was estimated at 1.42 children born per woman, which is lower than the replacement rate of 2.1. In 2014, 41.7% of births were to unmarried women. The life expectancy in 2013 was estimated at 80.04 years (77.13 years male, 83.1 years female). The birthplace of foreign-born naturalised residents in Austria. The official language used in education, publications, announcements and websites is Austrian German, which is mostly identical to the German used in Germany but with some vocabulary differences. The German language is standardised between countries of German mother tongue, i.e., Germany, Austria, Switzerland and Liechtenstein, as well as those with significant German speaking minorities: Italy, Belgium and Denmark. (The German population in Alsace-Lorraine in France has no minority rights.) Many local dialects are spoken in Austria, and though their base is Austrian German, their corresponding speakers have certain degrees of difficulty when trying to understand each other. Bilingual sign of Oberwart (in Hungarian Felsőőr) in Burgenland. Historically German-speaking Austrians were regarded as ethnic Germans, although this national identity was challenged in the decades after the end of World War I and even more so after World War II. Austria was part of the Holy Roman Empire of the German Nation until its ending in 1806 and had been part of the German Confederation, a loose association of 39 separate German-speaking countries, until the Austro-Prussian war in 1866, which resulted in the exclusion of Austria from the German Confederation and the creation of the North German Confederation led by Prussia. In 1871, Germany was founded as a nation-state, Austria was not a part of it. After World War I and the breakup of the Austrian monarchy, politicians of the new republic declared its name to be "Deutschösterreich" (Republic of German-Austria) and that it was part of the German Republic. A unification of the two countries was forbidden by the treaty of Saint-Germain-en-Laye as one of the conditions imposed by the victorious Allies of World War I upon the vanquished nation, to prevent the creation of a territorially extensive German state. Along with the events of World War II and Nazism Austria as a country has made efforts to develop its own distinct national identity among its populace, and nowadays most do not consider themselves Germans, while a minority still feels German, a movement historically known as "Grossdeutsch", pointing to the fact that they consider historic boundaries of the German people going beyond the boundaries of the actual states. 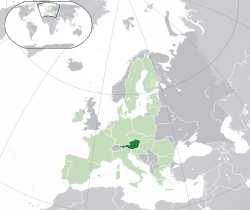 Today 91.1% of the population are regarded as ethnic Austrians. The right for bilingual topographic signs for the regions where Slovene- and Croat-Austrians live alongside the German-speaking population (as required by the 1955 State Treaty) is still to be fully implemented in the view of some, while others believe that the treaty-derived obligations have been met (see below). Many Carinthians are afraid of Slovenian territorial claims, pointing to the fact that Yugoslav troops entered the state after each of the two World Wars and considering that some official Slovenian atlases show parts of Carinthia as Slovene cultural territory. The recently deceased governor, Jörg Haider, has made this fact a matter of public argument in autumn 2005 by refusing to increase the number of bilingual topographic signs in Carinthia. A poll by the Kärntner Humaninstitut conducted in January 2006 states that 65% of Carinthians are not in favour of an increase of bilingual topographic signs, since the original requirements set by the State Treaty of 1955 have already been fulfilled according to their point of view. At the end of the 20th century, about 74% of Austria's population were registered as Roman Catholic, while about 5% considered themselves Protestants. Austrian Christians are obliged to pay a mandatory membership fee (calculated by income—about 1%) to their church; this payment is called "Kirchenbeitrag" ("Ecclesiastical/Church contribution"). Since the second half of the 20th century, the number of adherents and churchgoers has declined. Data for the end of 2014 from the Austrian Roman Catholic church lists 5,265,378 members, or 61.4% of the total Austrian population. Sunday church attendance was 623.195 or 11.84% of the total Austrian population in 2005. The Lutheran church also recorded a loss of 47,904 adherents between 2001 and 2008. European Commission survey of 2012 indicates that a significantly higher 86% of the Austrian population is Christian and 77% are Roman Catholic. About 12% of the population declared that they have no religion. in 2001; this share had grown to 20% by 2015. Of the remaining people, around 340,000 are registered as members of various Muslim communities, mainly due to the influx from Turkey, Bosnia-Herzegovina and Kosovo. About 180,000 are members of Orthodox Churches (mostly Serbs), about 21,000 people are active Jehovah's Witnesses and about 8,100 are Jewish. The Austrian Jewish community of 1938—Vienna alone counted more than 200,000—was reduced to around 4,500 during the Second World War, with about 65,000 Jewish Austrians killed in the Holocaust and 130,000 emigrating. The large majority of the current Jewish population are post-war immigrants, particularly from eastern Europe and central Asia (including Bukharan Jews). Buddhism was legally recognised as a religion in Austria in 1983. While northern and central Germany was the origin of the Reformation, Austria and Bavaria were the heart of the Counter-Reformation in the 16th and 17th centuries, when the absolute monarchy of Habsburg imposed a strict regime to restore Catholicism's power and influence among Austrians. The Habsburgs for a long time viewed themselves as the vanguard of Catholicism and all other confessions and religions were repressed. In 1775, Maria Theresa gave official permission to the Mechistarist Congregation of the Armenian Catholic Church to settle in the Habsburg Empire. In 1781, in the era of Austrian enlightenment, Emperor Joseph II issued a Patent of Tolerance for Austria that allowed other confessions a limited freedom of worship. Religious freedom was declared a constitutional right in Cisleithania after the Austro-Hungarian Ausgleich in 1867 thus paying tribute to the fact that the monarchy was home of numerous religions beside Roman Catholicism such as Greek, Serbian, Romanian, Russian, and Bulgarian Orthodox Christians (Austria neighboured the Ottoman Empire for centuries), Calvinist, Lutheran Protestants and Jews. In 1912, after the annexation of Bosnia Hercegovina in 1908, Islam was officially recognised in Austria. Austria remained largely influenced by Catholicism. After 1918, First Republic Catholic leaders such as Theodor Innitzer and Ignaz Seipel took leading positions within or close to Austria's government and increased their influence during the time of the Austrofascism; Catholicism was treated much like a state religion by Engelbert Dollfuss and Kurt Schuschnigg. Although Catholic (and Protestant) leaders initially welcomed the Germans in 1938 during the Anschluss of Austria into Germany, Austrian Catholicism stopped its support of Nazism later on and former religious public figures became involved with the resistance during the Third Reich. After the end of World War II in 1945, a stricter secularism was imposed in Austria, and religious influence on politics declined. The Austrian university system had been open to any student who passed the Matura examination until recently. A 2006 bill allowed the introduction of entrance exams for studies such as Medicine. In 2001, an obligatory tuition fee ("Studienbeitrag") of €363.36 per term was introduced for all public universities. There are some non-state exceptions to this, where students can still study for a subsidized education, for example within the campsus system of the The English Teacher Training College. Since 2008, for all EU students the studies have been free of charge, as long as a certain time-limit is not exceeded (the expected duration of the study plus usually two terms tolerance). When the time-limit is exceeded, the fee of around €363.36 per term is charged. Some further exceptions to the fee apply, e.g. for students with a year's salary of more than about €5000. In all cases, an obligatory fee of €17 is charged for the student union and insurance. Austria's past as a European power and its cultural environment generated a broad contribution to various forms of art, most notably among them music. Austria was the birthplace of many famous composers such as Joseph Haydn, Michael Haydn, Franz Liszt, Franz Schubert, Anton Bruckner, Johann Strauss, Sr. and Johann Strauss, Jr. as well as members of the Second Viennese School such as Arnold Schoenberg, Anton Webern and Alban Berg. 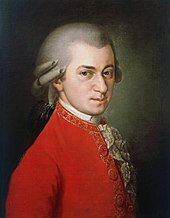 Wolfgang Amadeus Mozart was born in Salzburg, then an independent Church Principality of the Holy Roman Empire, though one that was culturally closely connected to Austria, and much of Mozart's career was spent in Vienna. A focus of Austrian science has always been medicine and psychology, starting in medieval times with Paracelsus. Eminent physicians like Theodore Billroth, Clemens von Pirquet, and Anton von Eiselsberg have built upon the achievements of the 19th century Vienna School of Medicine. 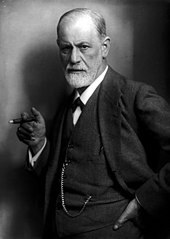 Austria was home to Sigmund Freud, founder of psychoanalysis, Alfred Adler, founder of Individual psychology, psychologists Paul Watzlawick and Hans Asperger, and psychiatrist Viktor Frankl. 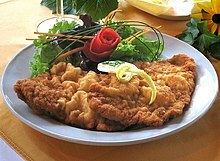 Typical Austrian dishes include Wiener Schnitzel, Schweinsbraten, Kaiserschmarren, Knödel, Sachertorte and Tafelspitz. There are also Kärntner Kasnudeln, which are pockets of dough filled with Topfen, potatoes, herbs and peppermint which are boiled and served with a butter sauce. Kasnudeln are traditionally served with a salad. Eierschwammerl dishes are also popular. The sugar block dispenser Pez was invented in Austria, as well as Mannerschnitten. Austria is also famous for its Mozartkugeln and its coffee tradition. The most important wine-producing areas are in Lower Austria, Burgenland, Styria and Vienna. The Grüner Veltliner grape provides some of Austria's most notable white wines  and Zweigelt is the most widely planted red wine grape. Local soft drinks such as Almdudler are very popular around the country as an alternative to alcoholic beverages. Another popular drink is the so-called "Spetzi", a mix between Coca-Cola and the original formula of Orange Fanta or the more locally renowned Frucade. Red Bull, the highest-selling energy drink in the world, was invented in Austria. Due to the mountainous terrain, alpine skiing is a prominent sport in Austria. Similar sports such as snowboarding or ski-jumping are also widely popular. 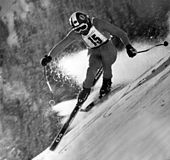 Austrian athletes such as Annemarie Moser-Pröll, Franz Klammer, Hermann Maier, Toni Sailer, Benjamin Raich, Marlies Schild & Marcel Hirscher are widely regarded as some of the greatest alpine skiers of all time, Armin Kogler, Andreas Felder, Ernst Vettori, Andreas Goldberger, Andreas Widhölzl, Thomas Morgenstern & Gregor Schlierenzauer as some of the greatest ski jumpers of all time. Bobsleigh, luge, and skeleton are also popular events with a permanent track located in Igls, which hosted bobsleigh and luge competitions for the 1964 and 1976 Winter Olympics held in Innsbruck. The first Winter Youth Olympics in 2012 were held in Innsbruck as well.